At first there were only four, but gradually the network grew. People who had participated in earlier LCMS-related online discussions, such as “Wellspring” and “Voices/Vision,” soon joined, as did those who were disturbed by charges of “false teaching” that had been leveled against a few synodical professors by individuals who are best described as contemporary examples of Eric Hoffer’s notion of a “true believer.” The actions of the LCMS President at the time and his advisors to attempt to define “what it means to be Lutheran” also increased the ranks in Daystar, since many within the synod took exception to their definitions, descriptions, and prescriptions. Rumblings about a paper on Holy Communion that had come out of the Florida-Georgia District and support for the practice of lay leadership in the Northwest District also contributed to interest in the online discussion group. Later there would be other reasons for people to get involved, such as when one of the group’s participants, Atlantic District President Dr. David Benke, came under attack due to his involvement in a civic event following the September 11th attacks. Questions about that case and others, such as the earlier one against a district president for officiating at the wedding of his niece that included family members from the Evangelical Lutheran Church in America (ELCA), helped to enliven Daystar conversations. These online discussions stimulated further analysis of the larger problems and issues facing the synod. Three national conferences brought participants face-to-face for further dialogue. 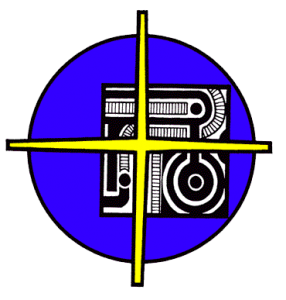 The organization has thus served for more than a decade to connect a few thousand individuals within and beyond the LCMS who have wanted to explore and discuss theological topics and perspectives that many think have not been adequately addressed or understood within the synod, but which if discussed in some places could invite retribution and attack from others who think differently. These matters have included such issues as the appropriate principles for interpreting the Bible, the basis for church fellowship with other Christians, the exercise of church discipline, the variety of appropriate liturgical forms and music in the life of the church, the conditions for membership in the synod, proper Eucharistic practice, the service of women in the church, the ministry of the baptized, lay leadership within congregations, civic engagement with the gospel, the doctrinal basis of the synod, homosexuality, and the relation of scientific knowledge to Christian theology. Dr. Schmidt came up with the name, or rather, he took it from an antilegomenon text in Holy Scripture: “You do well to be attentive to [the prophetic message] as to a lamp shining in a dark place, until the day dawns and the day star rises in your hearts” (Second Peter 1:19). Despite the rather tenuous status of this epistle within the biblical canon, the text is apropos to the purpose of the group: to serve as a forum for shining the prophetic and apostolic word on topics that many within the synod have avoided, misunderstood, or incorrectly criticized. Sometimes the LCMS itself has seemed a rather dark place. Too often compassion and decency have been absent in the synod, where chauvinism has frequently been confused for synodical loyalty and meanness of spirit has been mistaken for contending for the faith. Those who participate in Daystar hold to the primacy of the gospel in the life and mission of the church. 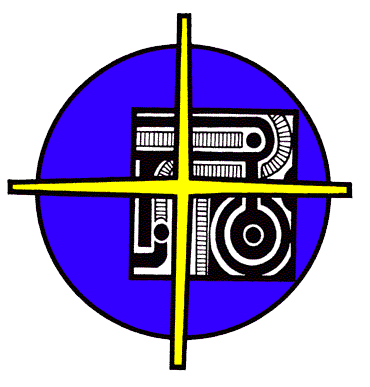 They are united in the defense and confirmation of that good word (Philippians 1:7), and they join the confessors at Augsburg (1530) in defining the essential unity of the church as the assembly of all believers among whom that gospel is preached in its purity and the holy sacraments are administered according to it (CA VII). They seek to be faithful and obedient to the admonition of the author of First Timothy: “Hold to the standard of sound teaching that you have heard from me, in the faith and love that are in Christ Jesus. Guard the good treasure entrusted to you, with the help of the Holy Spirit living in us” (1:13-14). To read the initial editorial by our first editor, Pr. Stephen Krueger+, go here.